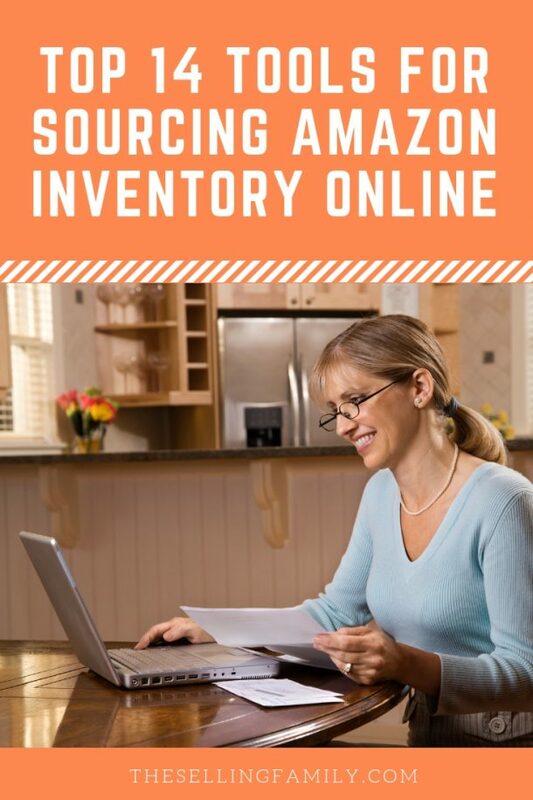 Online Sourcing is a great way for Amazon sellers to find profitable inventory for their FBA businesses. But Online Arbitrage is complicated at first, and a lot of sellers spend far too much time wading through website pages and products and not enough time finding and purchasing merchandise. Thankfully, there are a lot of tools that help make online sourcing easier for us. 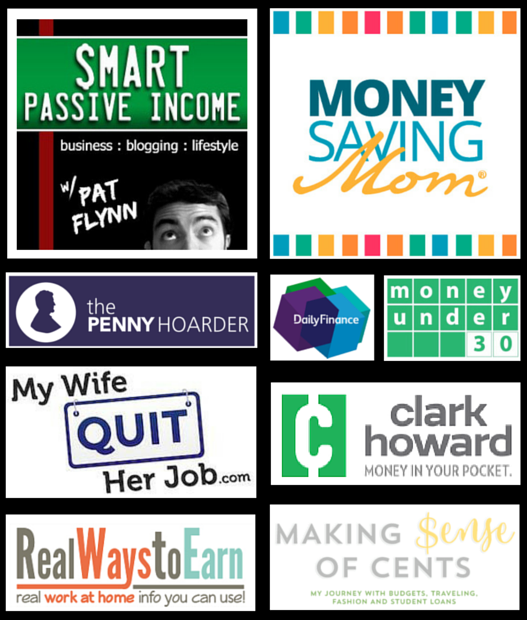 These include browser extensions, subscription tools with tons of features, and other ways to stack savings. It's certainly possible to source for products online without using any paid tools or programs. You can go to any online retailer's website and try to find matching products that are also selling (for a profit) on Amazon. But I can tell you from experience that the process is very tedious and slow. We add paid tools to save time or to make processes easier. Once you are at a point in your business that you are making a profit that leaves room for extras, then I say start slowly adding in new tools that will make you faster at sourcing inventory. So now, let's get to some of our favorite tools for online sourcing and why we love them! 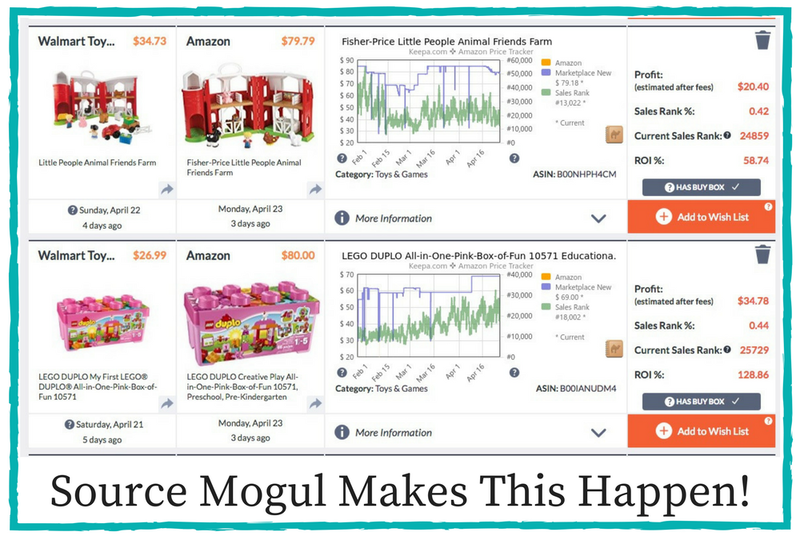 Source Mogul is the best automated online sourcing software available on the market right now. You can use this tool to help you comb through hundreds of online retail stores and automatically compare the store's database with that of Amazon.com. Search filters make it easy to see exactly the types of products you want to sell and that they meet your business model's criteria. Example, search by ROI, cost of the item, net profit, category and more. It is also easy to add site-wide discounts to the search so you can know the profit after any special savings offers you may have available. Get an exclusive 10-day trial by signing up with this link. You can see my full review of Source Mogul here. Anyone selling on Amazon should use a cash-back service like Ebates. When you're doing online arbitrage, you need to find ways to maximize your ROI. Earning cash back is one of the easiest ways to increase your profits. We are already spending so much money when purchasing inventory online, so why not get some cash back at the same time? I use the Ebates browser bar/button to instantly be reminded when I am making an online purchase and need to activate the cash back. 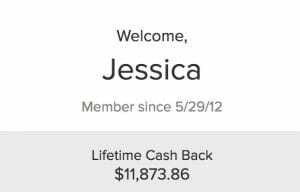 We have earned more than $11,000 in cash back from Ebates. And it costs nothing to sign up! It's FREE (and you can get $10 instant cash back bonus for signing up today). If you're not sure how it works, read my full review of Ebates here. Swagbucks launched in 2005 and is unique in that it offers cash back or gift cards for more than just shopping. You can earn points by doing things like shopping, taking surveys, even watching videos. Here are some of our best tips for using Swagbucks to get cash back online using Swagbucks. Swagbucks is free to join. And if you use my link to sign up for Swagbucks you will get an extra $5 bonus upon confirming your email address! TopCashBack works a lot like Ebates. Even though I've been using Ebates for much longer, there are some things that I actually like more about Top Cash Back. Like Ebates, you can earn cash back while you shop on your favorite sites. But in many cases, TopCashBack offers a higher percentage of cash back. Plus, they are more flexible with payment options and you can request payouts more frequently. I have a full review of TopCashBack where you can get all of the details. 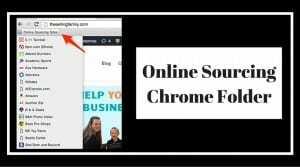 With this awesome tool, you can easily add 150+ online sourcing sites to your Chrome Bookmark Bar. You can install it and have it available to use in less than 5 minutes! You will never again wonder where to source from. These are the stores that we recommend for sourcing online inventory. Want a sample? Check out this post for 30 of our favorite online sourcing stores for free. For only $15, you can grab the full list of 150 right here and get an instant download with easy step-by-step instructions. CheckPermission is a simple extension that can save you tons of time and prevent costly mistakes. When you're doing Retail Arbitrage and need to check restrictions, it's easy enough to just check on the Amazon Seller App. You're probably already checking your profit and fees there anyway, right? But with Online Arbitrage, I find that I'm more likely to forget to check for brand and category restrictions while sourcing. And the last thing you want to do with online sourcing is order a ton of inventory….that you can't even sell on Amazon! CheckPermission is a Chrome extension that loads on Amazon product detail pages. It links to your Amazon Seller account and shows your restriction status with a simple Red or Green Box. This really streamlines your workflow and saves the step of copying/pasting the ASIN into “Add a Product” in Seller Central. CheckPermission even lets you know if something is Hazmat restricted. You can sign up here to start your free 3-day trial. This is a FREE extension that will search the internet and compare prices to other websites. Talk about a secret weapon for online arbitrage! If it finds a match, the Invisible Hand logo will pop up at the top of your screen and tell you where the lowest price is. If you are already browsing a site that has the lowest price, it will give you the next lowest. A great way to use this is to go to a product page on Amazon and then Invisible Hand will let you know if you can purchase it cheaper from another website. Rev Seller is a Chrome Extension that lets you calculate potential profits on the items you are looking at on Amazon.com. 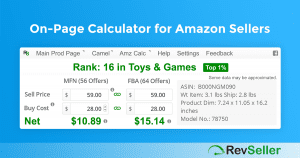 This saves you the step of having to open up the FBA Calculator in a new window and manually bringing over the selling price. With RevSeller, you can automatically calculate the profits right on the same screen! But, RevSeller is even more than just a profit calculator! You can see a lot more information right at the top of the Amazon detail page. The regular cost is $99 per year for the RevSeller extension and you can get a free 30-day trial when you sign up for RevSeller today. I have a coupon code that will save you $20 on the cost of your first year of RevSeller. 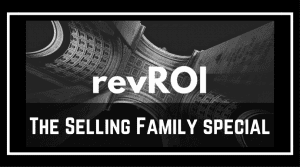 Enter code THESELLINGFAM at checkout to get one year of RevSeller for just $79! This is a different type of online arbitrage than we normally do. But I was very intrigued when I heard about it. The tool helps you find textbooks that are being sold on Amazon in used condition for less than the trade-in value on Amazon. Trade-in is super simple in that you just send the book to Amazon and they will give you a gift card for the agreed-upon amount. No need to wait for the book to sell. Some students (or anyone, really) will list textbooks on Amazon just hoping for a quick sale. It's usually more than they can get from the local bookstore, so they are happy with the amount they get in the sale. But you could actually turn around and flip them back to Amazon for a profit! The cost of this tool is a one-time $59.99. You can sign up here and you will even get some training videos on how to use the tool. Keepa is one of my favorite research tools. It's the only way to get a complete picture of a product's sales history. It tracks not only the price history on items, but it also tracks the rank history. 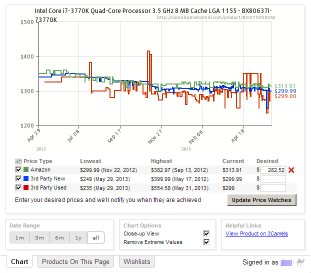 If you have the Keepa plugin, you can see the chart right on your Amazon browser page. This helps you make smart buying decisions right from a product detail page. Here's a great post that describes how to read a Keepa graph. Keepa is one of the most valuable monthly subscriptions you can buy and you can grab it right here. We tend to talk about Keepa and CamelCamelCamel together, so it makes sense that we'd mention both extensions. The Camelizer is free to use but it does not show rank history. When looking at a product on the Amazon listing page, you'd click on The Camelizer extension and get a quick overview of price history for Amazon and third-party sellers. You can click through to the full CamelCamelCamel site to view more information. This must-have extension lets you see which cashback providers are providing the highest amount of cash back — on one screen. No more clicking around to compare. When you are shopping on one of the supported websites, you can click the extension button and see which cashback site has the best offer! There are a ton of cashback sites and this handy tool gives you a great, easy-to-read chart. It also shows you any available coupon codes. You can grab the extension here and then you can download the extension immediately after payment. Jungle Scout comes in a Chrome extension or a web app. You can use the Jungle Scout estimator to get an idea of how many of an item will sell in a month to help you guess how many you can sell. The web app gives you a product database that helps you search and filter quickly. You can track products, too, and keep an eye on your competition. The app is also helpful for finding new niches. The extension provides monthly sales and revenue estimates, average rating and number of reviews, category and bestseller ranks, and additional features, depending on whether you choose the Lite or the Pro version. The extension is a one-time fee of $97 for Lite or $197 for Pro. The web app is a subscription-based service billed annually and offers three tiers that allow you to track different amounts of products. You can sign up for Jungle Scout here. Helium10 is a software tool and a Chrome extension. Online Arbitrage sellers can use Helium10 to do better product research. Helium10 helps you dig deeper than just sales rank and profitability of a product. You can use Helium10 to research a product's sales velocity. This is essential for online sourcing, especially if you're ordering larger quantities. You can access the Chrome extension with a free account. Use this link to sign up and get started today. If you ever need to upgrade to one of their paid plans, use coupon code THESELLINGFAMILY50 to get 50% off the cost of your first month. If you're looking for more detailed help with online sourcing, you're in luck. I'm currently in the process of creating a brand new course about sourcing online for Amazon FBA inventory. Follow this link and sign up to receive course updates. That way you'll be the first to know when you can get your hands on this new training course! That's a lot of ways to help you be more productive in your Amazon online sourcing! Like I mentioned in the beginning, you don't need to have ALL of these tools. I recommend adding just one or two at a time, and as you continue to grow your business, add more. Some will work for one business, and not at all for another. Only you know what type of tool will help your productivity. Hi! Thank you for the amazing content!! 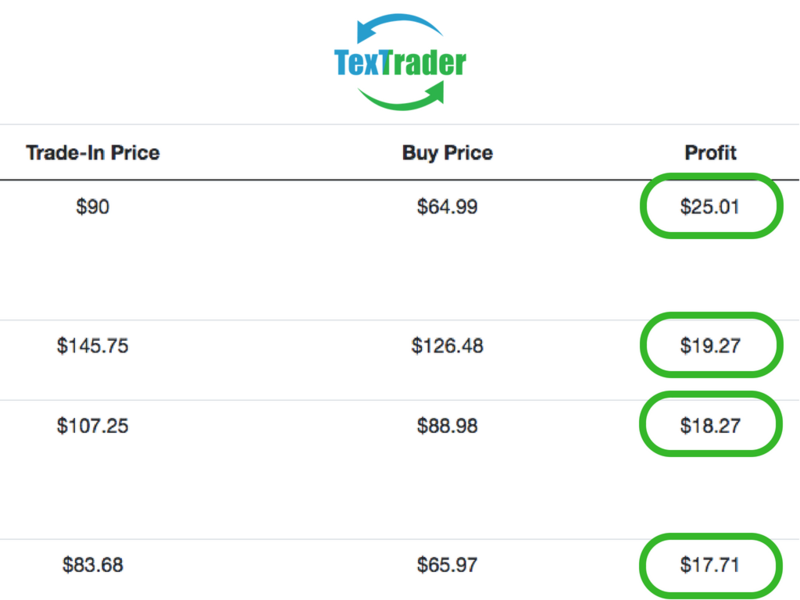 I wanted to ask if you’ve used/had luck with the TexTrader software yet. I have been trying it but am having a great deal of difficulty getting it to populate more than about 50 results. I’ve contacted their support team but am yet to hear back. Just wondering if you have experience with it or feedback! I’ve used it successfully in the past but have not used it in the last month or so. Have you heard back from support? What is the tool for wholesale catalog search that you recommended in a different post. I cant find that post and i have a friend who needs such a service. Thanks. I’m not sure I’ve mentioned one before, but you could check out PriceChecker2. Is there a tool used to scan the retail site in order to find products that are already selling for 3x more on Amazon? It’s taking too much time to search every single product just to come up empty handed. Hi. What is the best tool to check how many of a certain amazon listing/product is selling per day? Does such a tool exist? The Jungle Scout Estimator gives you an idea based on rank. I remember when i visited this page some 2 years ago, then Oaxray used to be the no.1 tool in this list but today it doesn’t exist at all. Any reason ? We have since switched to using Source Mogul. You can read my review for Source Mogul here. Loving this list of tools for online sourcing. Definitely great in terms of saving time and I noticed that you mentioned you use your VAs to help you. Do you mind if I ask where you outsource from? Also I’m just curious about managing inventory after you find a good product? Do you order it and then re-ship to the fulfillment centre or do you send it directly there? And how do you manage with various fulfillment centres depending on where the product is at the time? Our VAs are sourced from the Philippines. You get the products to your house and then off to the Amazon warehouse after you “prep” it. What is the difference between Cleer Platinum and RevSeller? Great info! Thanks! If you come across websites you can’t access, try using a VPN, or a proxy browser and choose USA as your country. As for getting the items shipped to you from those same stores, look into paying a FBA-prep service in the U.S. There are plenty. I love revseller it’s one of the best to reduce research time. Great information guys-Thanks for sharing. Hi Jessica, thanks for posting this. I have a question about the Textbook tool. Ok, so I saw his video where he explains how it works and I get it. My little qualm I guess, is that I would have to spend around $50-80 to get around $12 profit, and that’s hoping the book isn’t in a really bad condition though the listing may say it’s not. Have you tried this one yourself, and what kind of success have you had so far? Thanks so much.